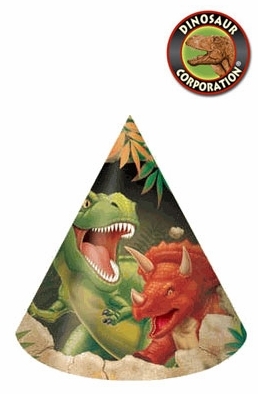 Dino Blast Party Hats are featuring T-rex and Triceratops. A perfect match to you Dino Blast Birthday celebration. This hat has a soft elastic band to keep the hat comfortably on your head. * It is a party time!